You are at:Home»Features»Will traffic signals one day be scrapped? With the 'shared space' movement putting pressure on authorities to remove traffic signals from urban areas, and proponents of connected and autonomous vehicle technology claiming one day we may be able to do away with them all together, the future for the trusty traffic signal feels far from certain. 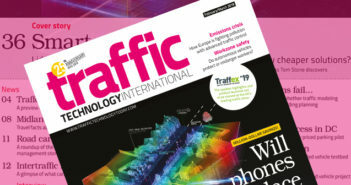 In a second extract from his new book Traffic Signals, Alistair Gollop, senior ITS consultant at Mott MacDonald, takes detailed look at what we can expect from this technology in the coming years. Will traffic signals one day be scrapped? With the ‘shared space’ movement putting pressure on authorities to remove traffic signals from urban areas, and proponents of connected and autonomous vehicle technology claiming one day we may be able to do away with them all together, the future for the trusty traffic light feels far from certain. 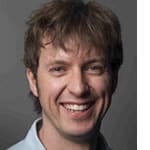 In a second extract from his new book Traffic Signals, Alistair Gollop (pictured), senior ITS consultant at Mott MacDonald, takes detailed look at what we can expect from this technology in the coming years. In recent years there have been numerous calls to remove traffic signal installations. Much of the impetus for this is due to the influence of the ‘shared space’ movement, which calls for the demarcation and segregation of different transport modes to be removed or reduced. Projects where this has been successfully implemented tend to be in urban environments where the proportion of pedestrians and cyclists is significant enough to affect driver behaviour. In addition, the volume of traffic tends to be lower and the speed limit is often reduced to 20 mph. The resultant street scape is usually aesthetically pleasing, due in part to high quality materials such as stone paving and planting schemes. An example site which is often given as a successful Shared Space implementation is located in Poynton, Cheshire (pictured below). This has undoubtedly improved the environment of the junction, but mainly due to the huge investment made in high quality materials. The claims that this site is actually Shared Space should also be treated to a level of scepticism, because on examination of the site it reveals the use of a double mini roundabout, with the carriageway clearly demarcated by kerbing, pedestrian crossings with tactile paving and channelized vehicular approaches. This last feature, which uses a raised central reservation on each approach to the junction, creates a segregated space which totally controls the flow of vehicles. There is also resistance from groups representing the interests of visually, hearing and mobility impaired users, who often express a preference for clearly segregated areas for vehicular and pedestrian traffic. In addition, a recent study investigated the economic impact that traffic signals impose on the overall economy. This study found that the operation of traffic signals during periods of low vehicular traffic volume did result in an additional ‘overhead’ to users, due to the period of time users had to wait before receiving a green signal. However, during periods when the volume of traffic exceeded a relatively low level, the operation of the signals provided an increasing level of positive value commensurate with the increasing volume of vehicular traffic.The study though, made a number of assumptions and highlighted a couple of points which should be considered by highway authorities. One of the recommendations from the study was the consideration to operate more signals under part-time control. The first issue was an assumption that traffic signals will operate under fixed time modes at all times of day, irrespective of traffic volume. Although the linking of the operation of adjacent signalised junctions provides major benefits during periods of high traffic volume, the imposition of these modes during low volume periods (such as commonly experienced overnight), will invariably result in users having to wait unnecessarily. This highlights the need to implement effective vehicle activated modes of operation during quieter periods. There are several ways to implement this, and may include using a reversion to all-red during these periods. Although this might seem counter intuitive, it has a tendency to reduce lone vehicle accidents during off-peak periods, by constraining vehicle approach speeds. It also enables more efficient stage changes to occur, because it removes the requirement to time off minimum green and inter-green periods before a particular stage starts. This therefore allows the signals to ‘open up’ to approaching vehicles, which also engenders an impression of responsiveness to drivers. Many people have also pointed at the way in which traffic signal infrastructure might be made redundant by the advent of autonomous vehicles. However, until these vehicles constitute the vast majority of the UK vehicle fleet, it would not be possible to rely on vehicle intelligence to replace traffic signals. In addition, the removal or use of part-time signals also raises safety issues for pedestrians and cyclists, particularly if crossing facilities are required. With the advent of emerging technologies, the way in which data is collected by traffic systems is highly likely to take advantage of a huge range of different facilities which are currently emerging or will become evident in the future. Because of the ubiquitous nature of smartphones, the concept of constant connectivity to the internet is allowing users to generate real-time probe data on highway systems. This data may be generated by specific apps operating on smartphones, such as Google; or as a byproduct of their communications facilities being switched on, such as Bluetooth device monitoring. Although these systems cannot provide the complete detection rates required by traffic signals, they can provide valuable data for use with journey time information and incident detection in areas where the deployment of traditional loops would be expensive or problematic. The outcome from these issues is that the operation of traffic signal infrastructure needs to be continually appraised and optimised to ensure the maximum benefit is achieved from their presence. In addition, because signal installations are being equipped with improving communications capabilities, and their location distributed at strategic points on the highway network, it would seem inevitable that they will act as communications nodes for a variety of emerging technologies, including as an interface between urban traffic control systems and vehicles using vehicle to infrastructure (V2I) communications and as data gathering locations including air quality sensors. This type of scenario (referred to as the array of things) is already being explored with initial deployments in Chicago, Illinois. Do you know what these terms refer to and the differences between them? Traffic Signals: An introduction to signalised junctions and crossing facilities in the UK has the answers. Although it uses mainly examples for the UK, Traffic Signals will be of interest to traffic management practioners around the world.